The death of a loved one is always difficult. When the death is unexpected and preventable, it is even worse. But you do not have to bear on your own. Our firm can help. We represent clients injured in car accidents. Our goal is to obtain the highest level of compensation for your injuries. We know that aggressive driving and distracted driving cause many motorcycle accidents. Our strategy will maximize your recovery. Traumatic brain injuries are life-altering. We can’t turn back the clock, but we can ensure that you receive the compensation to which you are entitled. Black Wynn is a personal injury law firm serving those who have suffered injuries in the greater Phoenix area. 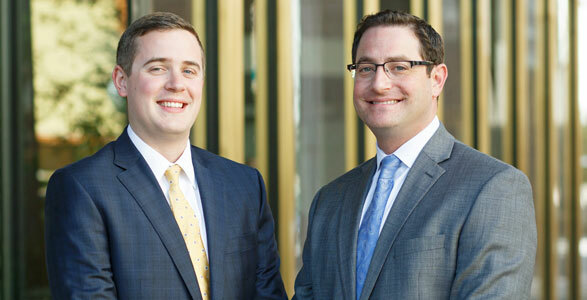 Founded by attorneys David Black and William Wynn, the firm is known for its track record of success helping injury victims throughout the community. Whether you were injured in an automobile accident, suffered a workplace injury, or were injured in some other situation, we can help. While we can’t undo the damage you suffered, we can use our experience and work hard so that you receive every dollar to which you are entitled as compensation. Call Black Wynn for a free consultation concerning your personal injury case. What is a Personal Injury Lawyer, and What do They do? Personal injury law is an area of the civil law whereby plaintiffs (the injured party) seek compensation from defendants (also known as tortfeasors, this is the at-fault party). Personal injury cases are all marked by the following three defining characteristics. First, there is liability. This means that the defendant must be liable for plaintiff’s injuries to recover. Second, there must be damages. This means that the plaintiff suffered some measurable loss at the hands of the defendant. And third, there must be sufficient assets, either personally or, more often, via insurance, to compensate the plaintiff for his or her injuries. If you have all three markers, you have a personal injury case. Black Wynn is here to help you understand your rights as an accident victim. We offer a free consultation, and in most cases, there is no fee unless we recover money on your behalf. After we have reviewed the evidence, we will tell you what your case is worth. We will also tell you how we propose to obtain a settlement or verdict on your behalf. We don’t believe in shortcuts. Our policy is that every client deserves and receives the individual attention necessary to understand and pursue their legal remedies. We begin by speaking to you about your case, but we don’t stop there. We will assist you and remain available from the initial investigation, and through to the settlement and/or trial. Ours is a relatively small firm, and this allows us to provide our clients with the individualized attention and quality of service for which we are known. Some people attempt to deal on their own with insurance companies and others who may be responsible for their injuries. There are several reasons why this is often a bad idea. First, injury victims often make the mistake of assuming the insurance company will “do the right thing” and try to reach a settlement that is fair. Second, most victims have no experience negotiating a settlement in a personal injury case, or, for that matter, in any similar situation. Third, personal injury matters lend themselves to varied interpretations of what the appropriate value is in a particular case. For these reasons, we suggest that you contact our firm first, and allow us to deal with the insurance company. The insurance company has one and only one goal – paying you the least amount of money possible to make your claim go away, no matter what the actual value of your case may be. Insurance companies are experienced at trying to hide the real value of a case, and making false and/or misleading claims about your chances of success. We will place a value on your case that is honest and realistic, taking into account your actual damages, the nature of the claim, and our experience with how juries in the area respond in similar cases. When you contact Black Wynn, we will provide you with a case evaluation that includes a realistic value for your loss. We will then fight hard to produce the best possible result on your behalf. How do personal injury fees work? Fees at Black Wynn are earned on a contingent basis. Working with a personal injury firm on a contingent basis is not only the most common arrangement for personal injury fees, but it is usually the best. It means that a client does not pay unless the case is won. It also means that the better the lawyer does for his client, the better he does for himself. And vice versa. 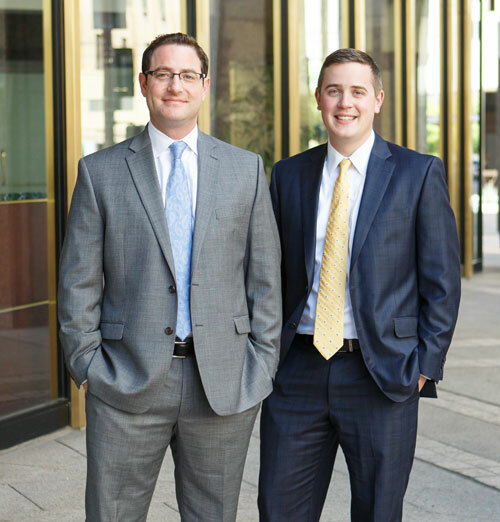 If you have suffered an injury in an auto or bike accident, from a defective product, a slip and fall, or as the result of medical malpractice, an assault, a dog bite, a workplace accident, or a similar occurrence, contact Black Wynn today. Our experienced personal injury lawyers will provide you with a case evaluation that lets you know where you stand, provides a value for your case, and explains how we intend to obtain the maximum possible compensation for your injuries. Remember, your initial consultation is free, and in most personal injury cases, there is no fee unless we recover damages on your behalf.